Enterprise level gathering of CUPPEC Sagarnath Forest development project has been concluded in Sarlahi . The Gathering was inaugurated by CUPPEC president Cde. Naranath Luintel .Inaugurating the programme, Cde. Naranath said, the future of project is in the hand of Nepal Government and workers .Cde. President highlighted on the objective of the CUPPEC. 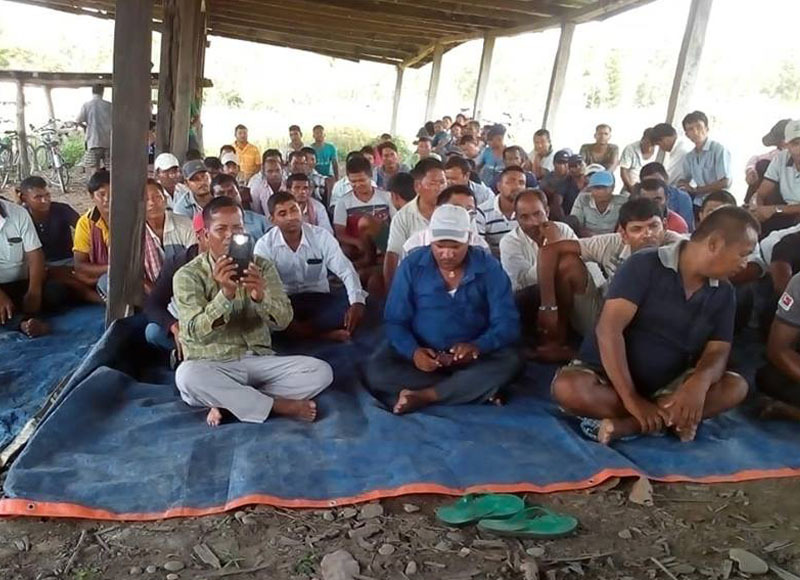 On the occasion, Chief of Project Dipesh Mani Tripathi made assure that the some of the problems of the workers will have been solved from July . Mr. Damber Chheri from Police department and Cde. Shanta Basnet from CUPPEC also addressed the programme.